AMR Gold is using UltraGPR technology to map coltan bodies in a remote part of Sierra Leone. 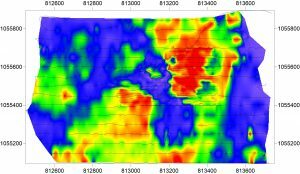 To date, the UltraGPR has been able to consistently map these bodies to depths of over 70 m. Regardless of the rugged conditions, over 40 km of survey distance has been collected over a grid, showing the dip and strike of the coltan targets in 3D. A trial UltraGPR survey in Rwanda was undertaken in an effort to map tin-bearing paleochannels. In this case, due to the high clay fraction in the sediments, penetration was limited to a few metres, even with very low-frequency antennas (10 MHz).